After taking a new role at Nutanix, I want to share my knowledge/skills with other folks willing to learn Nutanix. Let me start with Nutanix certification tracks and preparation required. As of now current exam guidelines are in single pillar Hyper Converged but may get changed in near future with the Nutanix Xi Cloud joining the party. 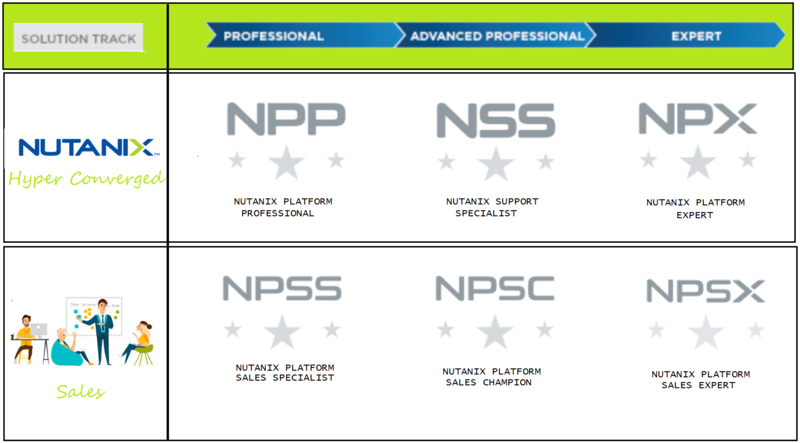 Nutanix professional certifications attest that you have the skills necessary to manage and deploy Nutanix technology. We offer a range of specializations to showcase your expertise. Nutanix nu.school delivers a comprehensive range of learning activities that encompass core product training, application workloads and the full scope of web-scale IT. Our professional certification programs attest that you have the skills necessary to manage and deploy Nutanix technology. Nutanix troubleshooting course is available which helps you to understand more about the product internals and also to clear the NSS – Nutanix Support Specialist exam. 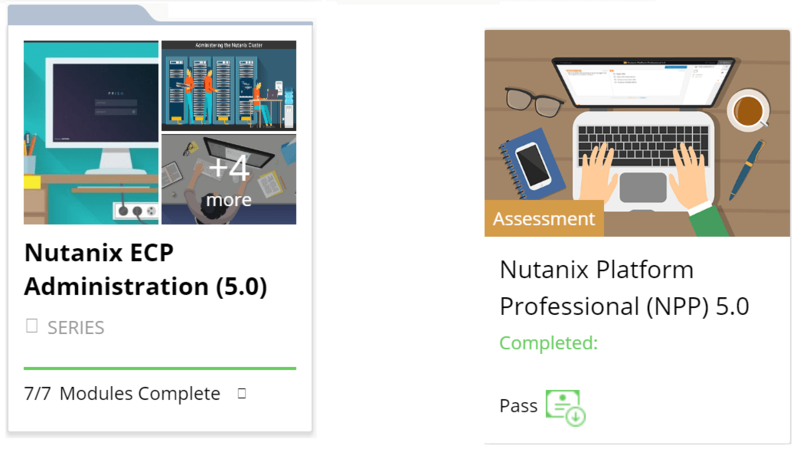 The Nutanix Platform Professional (NPP) certification confirms your ability to install, configure, and manage the Nutanix environment. How to Prepare: The Nutanix Administration course is recommended prior to taking the certification. The course is offered in multiple formats, including self-paced Online-Plus course, instructor-led virtual or in-person. The instructor led course is a full 4-day course offered by one of our authorised trainers around the world. The Nutanix Support Specialist (NSS) certification verifies the skills necessary to provide Level 1 & 2 support for a Nutanix cluster. Originally designed for Nutanix Support personnel and Authorized Support Partners, the NSS certification is now open to customers. Prerequisite: NPP Certification. The Nutanix Platform Expert (NPX) certification is a peer-vetted, hyper-visor agnostic certification designed for veteran solution engineers, consultants, and architects. This program aims to make every NPX a superb technologist, a visionary evangelist for Web-scale, and a true Enterprise Architect – capable of designing and delivering a wide range of cutting-edge solutions that are custom built to support the business goals of the Global 2000 and government agencies in every region of the world. Last week I heard total NPX count is 22 and expecting more people join this world class certification.